SALEWA® takes animal welfare very seriously. We believe that ducks, geese and sheep have the right to lead a dignified life following the guidelines of the internationally acknowledged "five freedoms”. We must protect them from harm, whether that is force feeding or live plucking. Which is why we have signed up to the strictest animal welfare regulations that we know for down production: the Responsible Down Standard. By doing this, we help determine the future direction of the outdoor industry in terms of animal welfare. There is no ill-treatment of sheep when making SALEWA® products. We only use certified down, meeting the Responsible Down Standard Certification. Thinking globally, trading locally, with wool from the Tyrolean mountains. Down is a true wonder of nature: from one tiny core, approximately two million small branches extend radially in all directions. This means that, while maintaining minimum weight, down is able to occupy a great deal of space and trap a large amount of warm air. Its great asset is that even after tight compression, e.g. in a stuff sack, it expands to its original volume. Its comfort for the wearer and insulating capacity are unique. 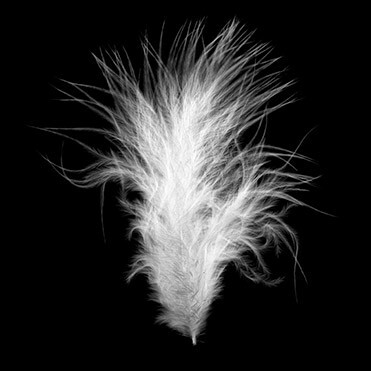 The problem with down is that the birds are frequently maltreated during the harvesting of the material. We have therefore decided to produce our down jackets and sleeping bags only with high-quality down from ethical sources. To be sure of this, we exclusively purchase down that is certified in accordance with the guidelines of the Responsible Down Standard. RDS is currently the most comprehensive animal welfare standard worldwide. Drafting the RDS involved contributions from various interest groups. In particular, it has input from suppliers, farmers, animal welfare organizations and industry experts. The standard is independent, defines unmistakeable requirements and is based on regular checks and inspections, which are conducted without prior notice. SALEWA takes animal welfare very seriously. We believe Ducks and Geese have the right to the five freedoms of animals and to be safe from any harm, such as force feeding or live plucking. 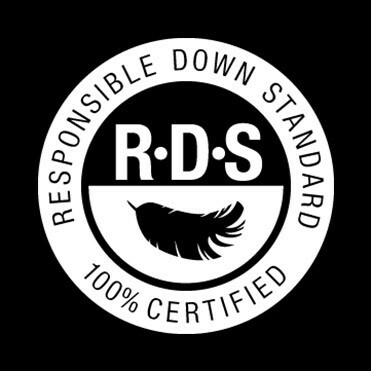 This is why we have committed ourselves to the most stringent animal welfare standard we know of for our down products: the Responsible Down Standard. By this, we also take a firm stance and hope to positively contribute to driving the industry towards global best practices in animal welfare. Origin and animal welfare usually do not play a major role on the global wool market. Often there is a lack of transparency. This is why we want to rely increasingly on Tirolean wool. The reason is that supply contracts with local producers enable us to maintain much better control of the animal breeding. You can find more information on Tirolean wool here. We obtain the material for our recycled wool styles from a factory in Siena. All other lines (i.e. those not produced from Tirolean or recycled wool) still use wool from abroad at present. Our current efforts are focused on working exclusively with wool from our home country of Italy in the future. All of our wool suppliers undertake to avoid mulesing, a practice which causes pain to the animals. In this technique, the skin around the sheep’s tail is removed without any anaesthesia in order to prevent infestation by fly larvae (myiasis). The highly controversial method is seen as cruel and unnecessary by animal rights campaigners.